Tim, do you have these images available elsewhere? The photobucket links you've posted aren't opening...for me at least. I fixed his links so you can see them now. My friend who worked for years in the Christies Russian Department in NYC said the crown was Princely one, not the Imperial. Also, there is no cypher of AH for Anastasia Nicholaievna and in all of the formal photos of the Grand Duchesses, none of their gloves has a visible crown embroidered on them. The choice of colors is also most atypical of the era, when the monogram would have been in the same color as the leather and in an unobtrusive place, either inside the gloves or on the inside near the cuff. There is an old story written by an English woman who was invited to sit in the Imperial Box at the Mariinsky Theatre, with the Grand Duchesses, during a performance. She recalled how Anastatsia, who was a child at the time, came in with a full box of silver foil wrapped chocolates, and during the performance at the whole box with her gloves on and got chocolate all over her leather gloves. We get literally hundreds of people a year who claim they own something of the Imperial Family, given years ago by somebody Russian, and so far, all but one of these claims has been a made up story lost in family lore. The Christies expert doubts the story highly. I believe the story was set in 1911. Rob, your info is always so great...using many disciplines etc. Yes fascinating Rob and thanks for fixing the links! We get literally hundreds of people a year who claim they own something of the Imperial Family, given years ago by somebody Russian, and so far, all but one of these claims has been a made up story lost in family lore. May I ask what was that one legitimate claim? 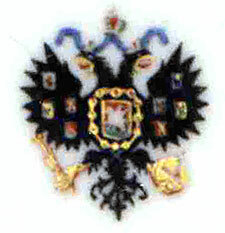 A box of items that had belonged to Xenia and Sandro's son Prince Nikita Alexandrovich. Where do you figure the Romanov obsession ranks in the highest number of false claimants/frauds of any historical figure/family in world history? At or near the top I would think...sadly. I think part of the reason for this is because Romanov-philia, if I may call it that, occupies an interesting position in terms of being exposed but, perhaps, not overexposed. We (and by "We" I refer to the cult following that occupies this website and other Romanov-related fan pages) are fans of a topic that is familiar but not terribly well known to outsiders. Those with a working knowledge will know of the Anastasia claimant myth, the tragic life of the last Tsar and Empress, their hemophiliac son, and the lure of Grigory Rasputin. But this is not a subject full of common expertise. It's just popular enough to grab attention, just enough mystery (even now) to promote considerable speculation, but not so watered down by an overabundance of fanatics and (supposed) experts as to immunize it from impostors and nonsense. Anastasia has to be near the top in this category, but for a while there was a pretty flourishing busines in claims for : Billy the Kid, Hitler, Martin Bormann, the "false Dmitry", the Tichborne claimant, and Jack the Ripper. Some of these were, in effect,"survivor " claims, while others were questions of original identity. I'm drawing a blank on several other famous cases.